Kirkenes Norway is a small town at the top of continental Europe. This thriving metropolis of 3,566 people is actually part of a greater series of towns that include Hesseng, Sandnes, and Bjørnevatn that boost the population of the region to a whopping 8,000 people. But like many small towns in Norway, at its heart, there is much more to Kirkenes, Norway than meets the eye. And during our three-day stopover before leaving for our Hurtigruten Northern Lights cruise to Bergen, we were determined to discover as many things to do in Kirkenes Norway as possible. Even in the winter, we were blessed with incredible companionship, wonderful weather, and exciting opportunities that gave us the chance to maximize our experiences in Kirkenes. And even though we suffered through lost luggage on our way up to this Arctic city, we still had some of the most memorable of all of our Norway experiences. 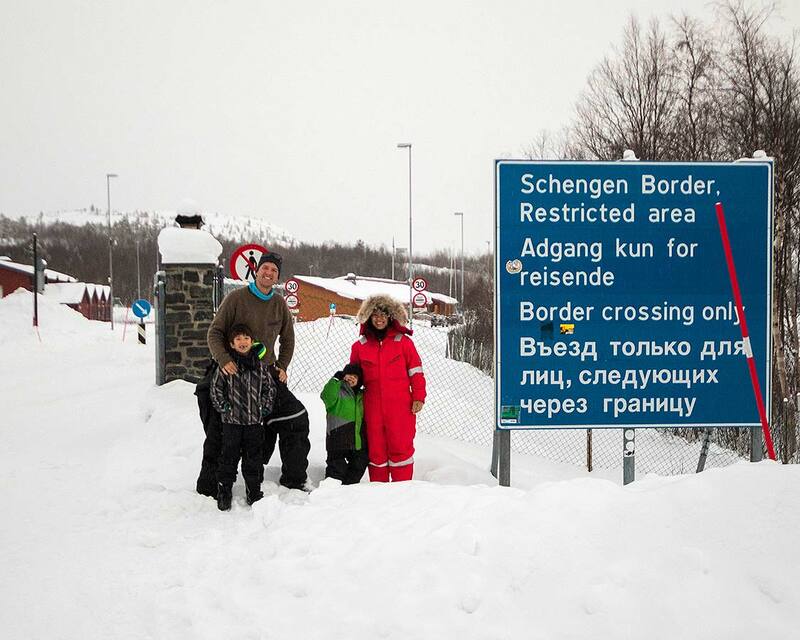 Kirkenes Norway sits on the Russian border at the tip of northern Norway. 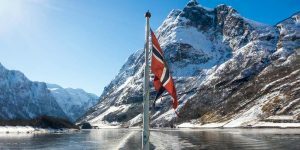 It sits at the meeting point between the Barents Sea and the Norwegian Sea, making it a key port in European and Russian sea trade. Its unique position on the western curve of northern Norway means that Kirkenes is actually located east of Finland, and further east than the tip of Asia and St. Petersburg, Russia. Because of its location north of the Arctic Circle, Kirkenes, Norway, sees the midnight sun from May 17 to July 21 and has no sunlight from November 21 to January 21. If you’re traveling to Kirkenes in winter, make sure that you pack for the cold weather. It can get cold up there. We arrived in Kirkenes in the late afternoon and caught a cab to our Go2Kirkenes apartment rental. Unfortunately, due to a mix-up and poor communication on our flight, our bags didn’t follow us from Oslo to Kirkenes. The benefit of landing in a small airport is that it’s easy to find the claims desk. The disadvantage is that the lack of regular flights to the region make it a lot more difficult to get things to you when they have been left behind. The Kirkenes Airport is located about 20-minutes from town. Our cab ride to our Kirkenes accommodations cost us about $77 USD (624 NOK). The Kirkenes taxi had a rate calculator on its website and the amount was exact to the area that we were traveling to. We made our way to our Go2Kirkenes apartment rental and were greeted warmly by Roar Anderson, our host for the weekend. He had set us up with some food to prepare during our stay. And, thankfully, he had some extra warm weather gear for Christina and me to wear since our long underwear and snow pants had been packed in our luggage that was still sitting in Oslo! 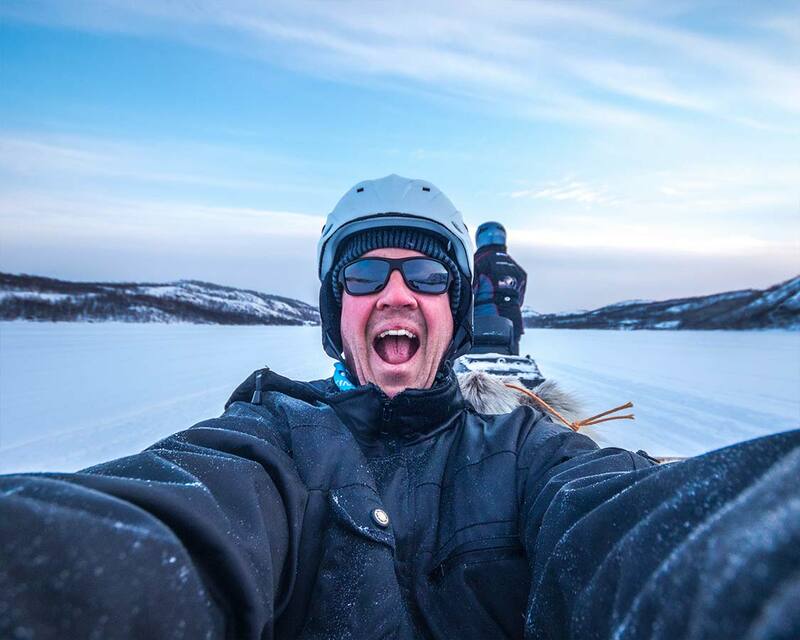 Besides being our host for our stay in Kirkenes, Roar also agreed to show us around and give us an insider’s glimpse into life in Kirkenes, and we are so glad he did! 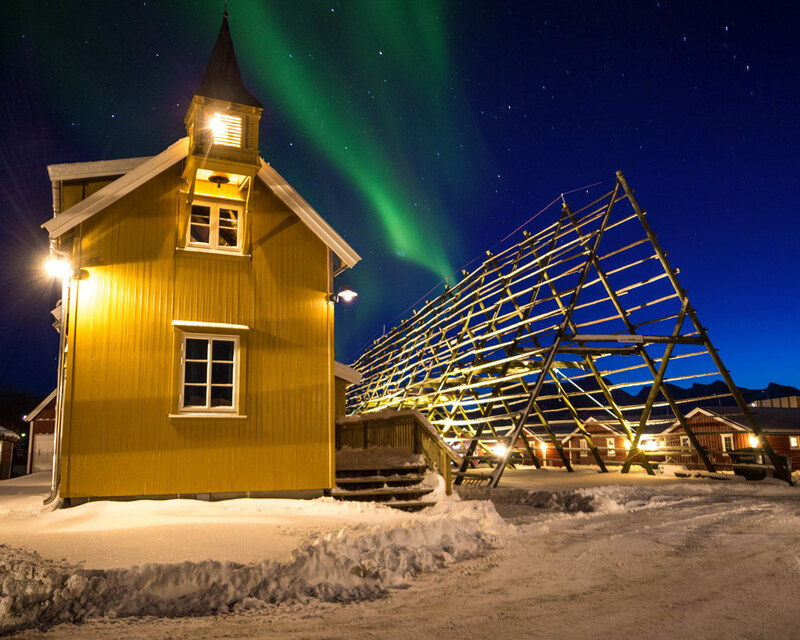 Here are all the things to do in Kirkenes. 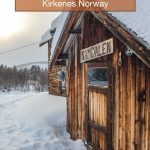 What are the Top Things To Do in Kirkenes Norway? 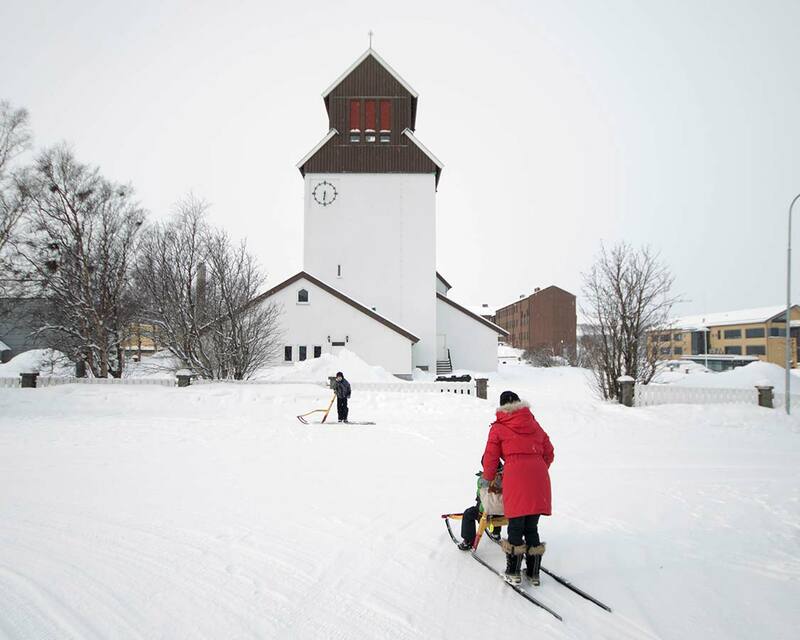 For a small town, there are a lot of things to do in Kirkenes Norway. 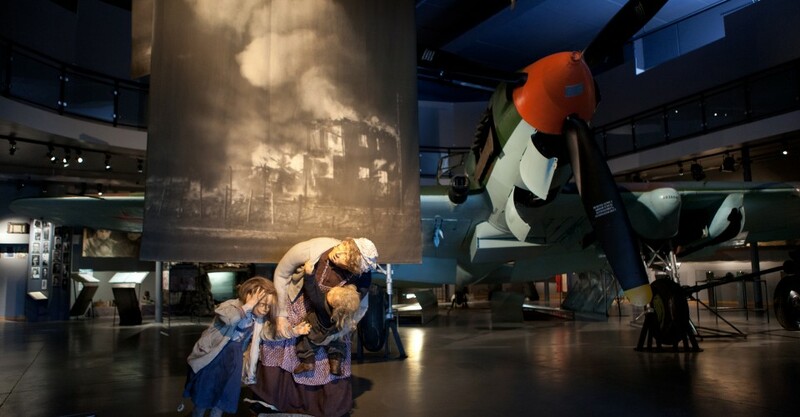 A lot of the attractions in Kirkenes are focused on the region’s rich WWII history. In fact, Kirkenes stands only second to the country of Malta for having experienced the most air raids in Europe during WWII. I was shocked to learn about this, but it turns out that the city’s proximity to the Russian border and position as a key trade port during the war made it a prime target for both German and Russian forces as they grappled back and forth. Grenselandmuseet, also known as the Borderland Museum is situated on the outskirts of Kirkenes on route to the airport. It’s a great spot to visit either when arriving in Kirkenes, or leaving town. You can walk here, or, if you are visiting Kirkenes in winter, make your way on cross-country skis. 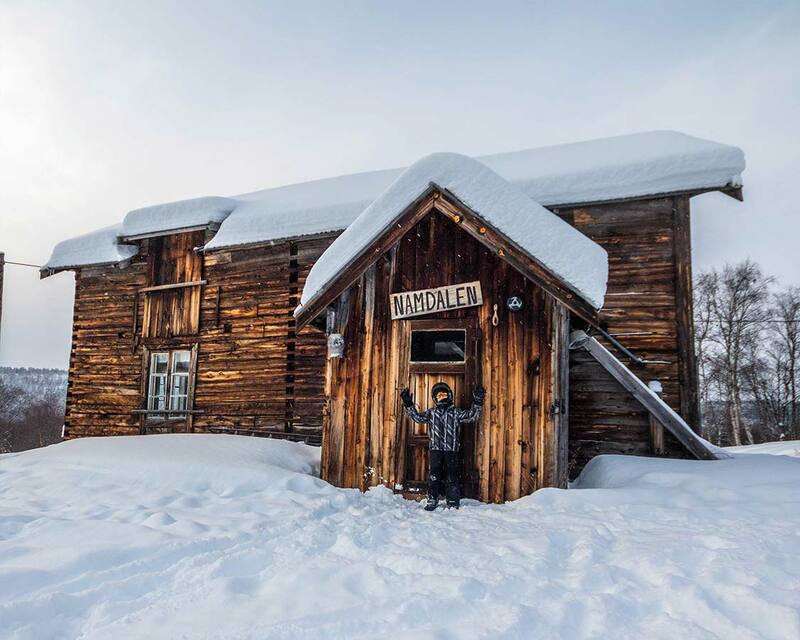 The Nordre Namdalen Arctic Settler home is a former house turned museum dating back to 1854. The house itself is a beautiful golden wood and inside is laid out as it would when the brave arctic settlers arrived in Kirkenes originally. There is a logbook inside to record the names of visitors from around the world. C made sure to make a personal note about his adventures there. A fascinating fact about the Arctic settlers is that they moved away from the area after getting access to electricity. Not because of heating or weather, but rather so they could get to areas that received more television channels! There is a tremendous amount of WWII history in Kirkenes Norway. The city was bombed so much that there were only a handful of buildings that survived the war. 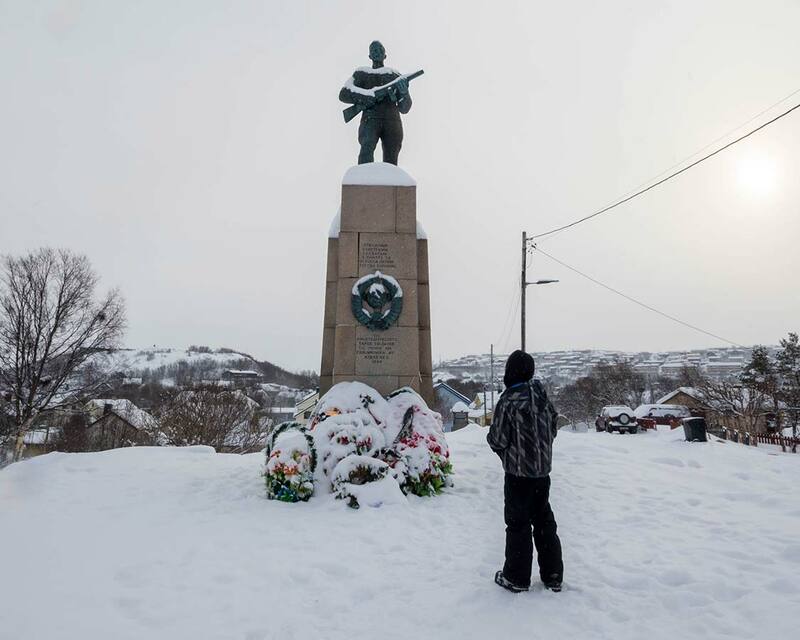 Kirkenes was eventually liberated from Nazi rule by the Soviet army in 1944. The Russians are still held in high regard here due to this act. We spent a good time admiring the monument and talking about the lessons of the war. The rest of the time was spent on lighter things, like seeing how fast our kick-sleds could travel down the steep hills near the monument. There is one church in Kirkenes Norway. It’s located at Kirkegata 5 on Meieribakken at the end of Sjogata. And this church is quite a site. Its traditional design stands out from the traditional post-WWII industrial architecture found in most of Kirkenes. 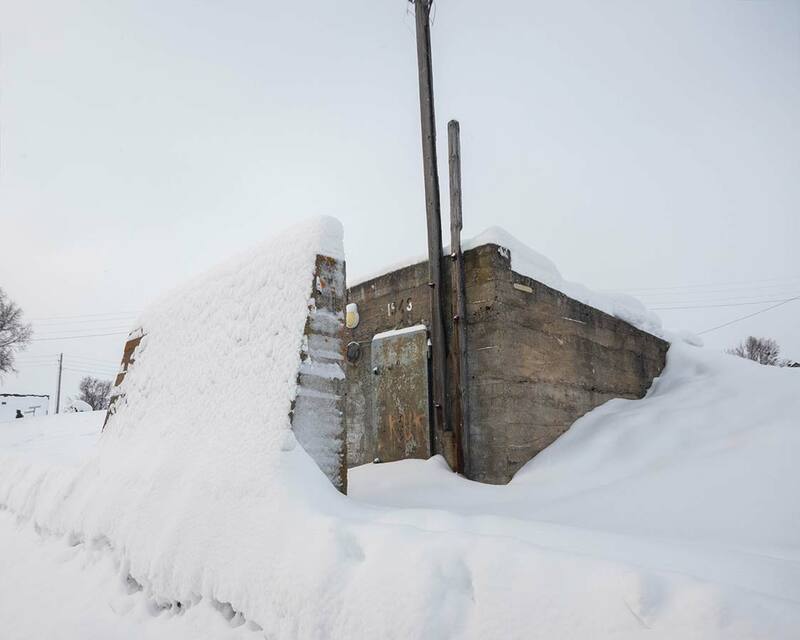 The Andersgrotten bomb shelter, located on Tellef Dahls Gate near the Soviet Liberation Monument is a reminder of just how bad Kirkenes suffered during the war. Visitors who aren’t on organized tours are unable to enter it, but it’s worth passing by to remember what the city endured during WWII. The Kirkenes Snow Hotel is one of the most famous attractions in Kirkenes. 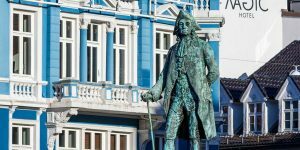 It’s a popular Kirkenes port excursion for those looking for things to do in Kirkenes on their Hurtigruten shore time. 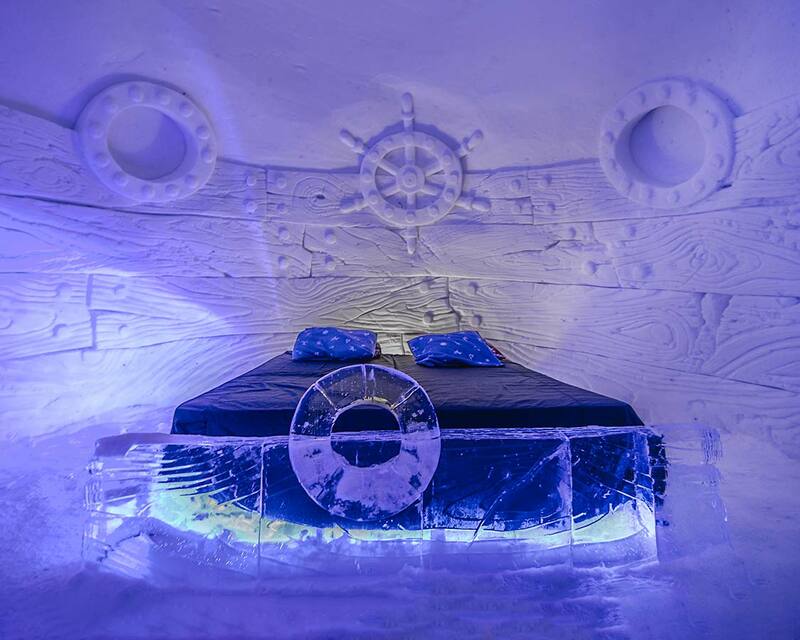 The Kirkenes Snow Hotel is carved mostly from snow and ice blocks. The rooms are uniquely themed and artfully lit. The snow hotel in Kirkenes is definitely not cheap to visit, with costs of $50 USD just to visit. But for those brave enough to spend the night here, you’ll be living in luxury. There are saunas, living rooms, and comfortable sleeping for those who don’t mind the cold. You can check out the prices and availability for staying at the Kirkenes Snow Hotel here. 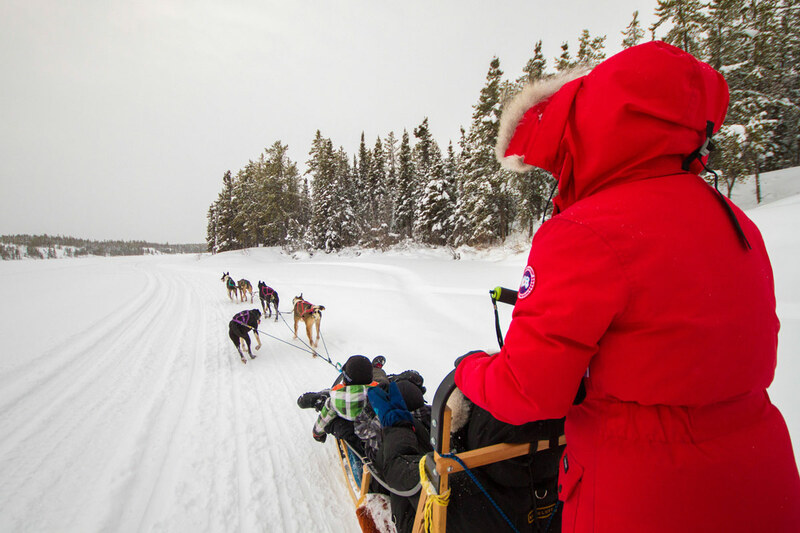 It seems that every northern destination has dog sledding as one of the top things to do. And Kirkenes is no exception! 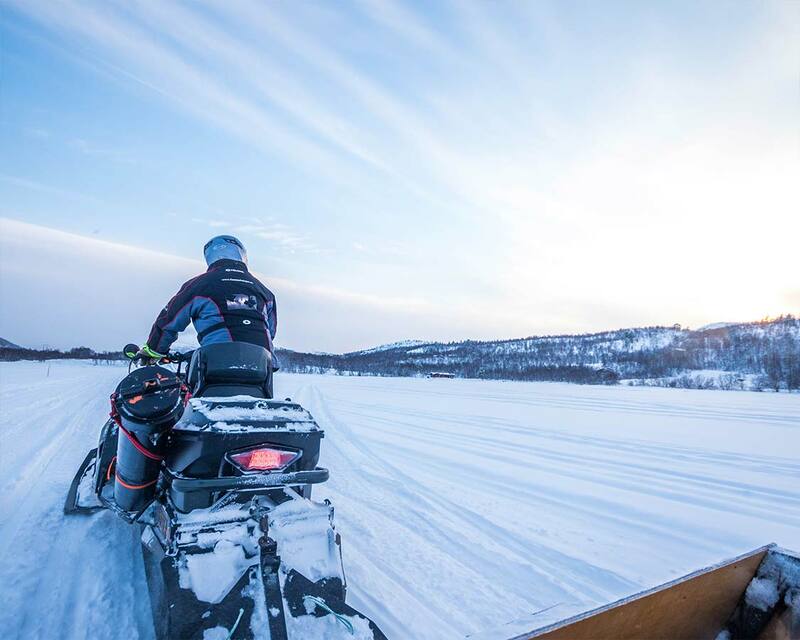 The Snowhotel also offers a Kirkenes Husky tour, and there are few places with vistas as awesome as arctic Norway to enjoy the ride. We skipped this attraction as we had already gone dog sledding in Yellowknife, Northwest Territories, and in Mont Tremblant, Quebec. This was something that we did completely on a whim. We were returning from our ice fishing adventure when Roar suggested that we make the 10-minute drive to the Russia/Norway border. It’s something I’m glad we did. The drive itself was beautiful, taking us along frozen lakes and rivers. And the visit to the Russian border was a neat little side trip that filled some time and gave us some laughs. Snowmobiling in Norway is almost as popular as cross-country skiing. It seems like everyone in Kirkenes owns at least one snowmobile to help them get around. There are a number of snowmobiling tours offered. If you are on a Hurtigruten cruise, you can even book them directly from the ship. We hadn’t been on snowmobiles since our epic Iceland journey, but when Roar asked if we wanted to join him, we weren’t going to say no! And while zipping along the fjords we saw several tours from BarrentsTours and Kirkenes Snow Hotel with large groups of riders. As you snowmobile in Kirkenes watch out for the King Crab traps that dot the ice in the Norwegian fjords. Norwegian citizens are allowed to catch 10 King Crab per year. And although the fishing is easiest during the warmer summer months, wooden structures with pulleys are still built on the ice during the winter for fishermen who want their King Crab fix in the winter. 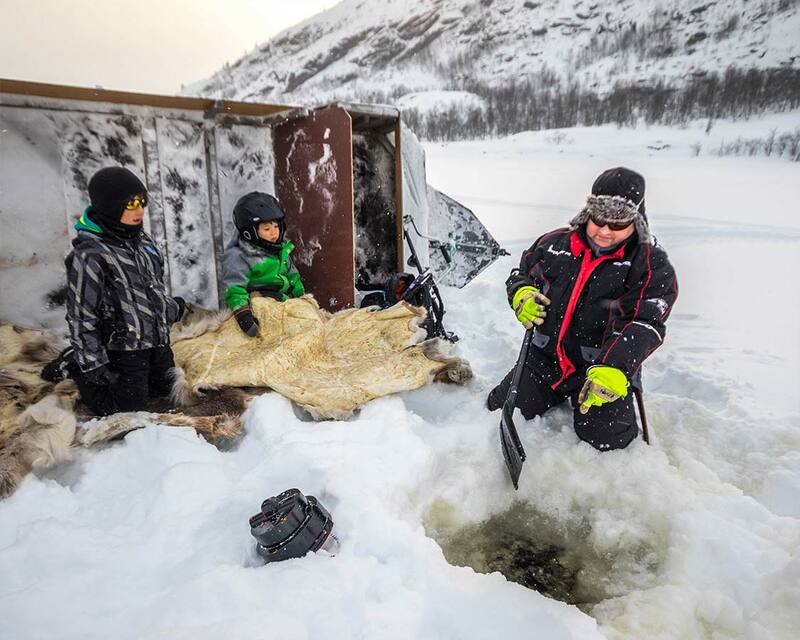 Ice fishing was at the top of our list of things to do in Kirkenes Norway. C LOVES fishing, and couldn’t wait to experience ice fishing in Kirkenes. Roar roared the snowmobile across the fjord and came to a stop about a half-kilometer into the fjord. We unhooked the sled and rolled it on its side to act as a shelter against the cold Arctic wind. We made ourselves comfortable on the reindeer hides and began the age-old ice-fishing tradition of waiting for something to bite. While we waited we drank a delicious black-currant tea popular with locals. Unlike traditional teas, the drink was exploding with fruit flavor and Christina and I drank our fill. The boys snacked on hot dogs and Kvikk Lunsj (a popular Norwegian chocolate bar). Unfortunately for C, his thick socks were still in our luggage, which had been misplaced by the airline in Oslo. His toes became pretty cold. But luckily Roar had another treat for us. He pulled out some foot warmers (heated packets you place inside your shoes). Before long, C could feel his toes again, and his mood improved drastically. D, on the other hand, was far more comfortable. And with the lack of action on our fishing lines, he ended up having a great nap in the comfort of the reindeer hide and the shelter of the snowmobile sled. The King Crab Safari is one of the most popular Kirkenes things to do. 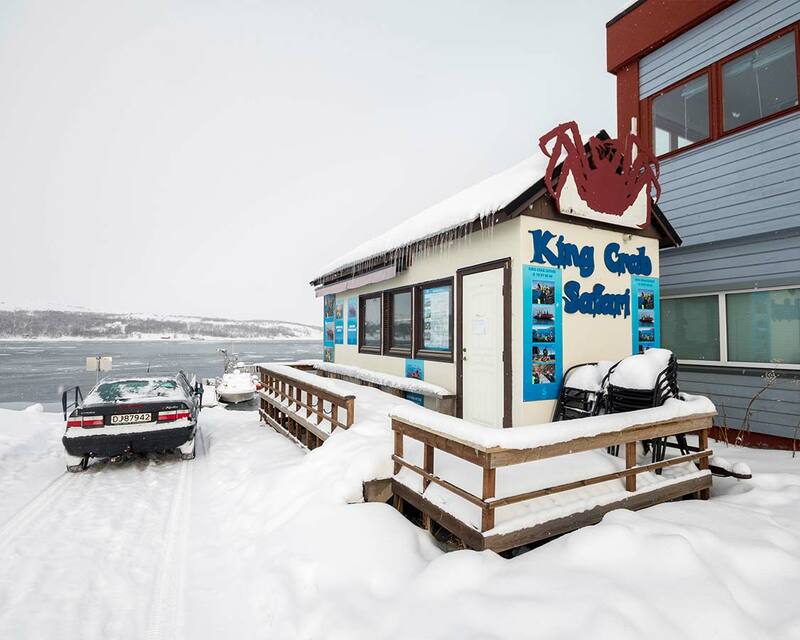 The King Crab safari in Kirkenes takes visitors out into Varangerfjord. You’ll travel either by RIB boat or by snowmobile depending on the season to pull in the King Crab traps and cook up some amazingly fresh shellfish to feast on. When you’re this far north, spotting the Northern Lights is always a possibility. While Kirkenes may not be as popular as places like Tromso for Northern Lights viewing in Norway, it’s northern location makes it a great spot for viewing the Aurora. It was cloudy during our three days in Kirkenes, but a clear night means an excellent chance of viewing the polar lights in Kirkenes. 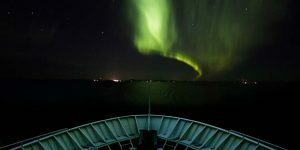 You can check out this website to see if the Northern Lights are active during your visit to Kirkenes. We did get lucky on our Northern Lights cruise and saw an incredible show in Svolvaer and on the water near Tromso. It takes a special type of person to brave the long winters of Arctic Norway. And one of our favorite Kirkenes things to do was spending time with locals. 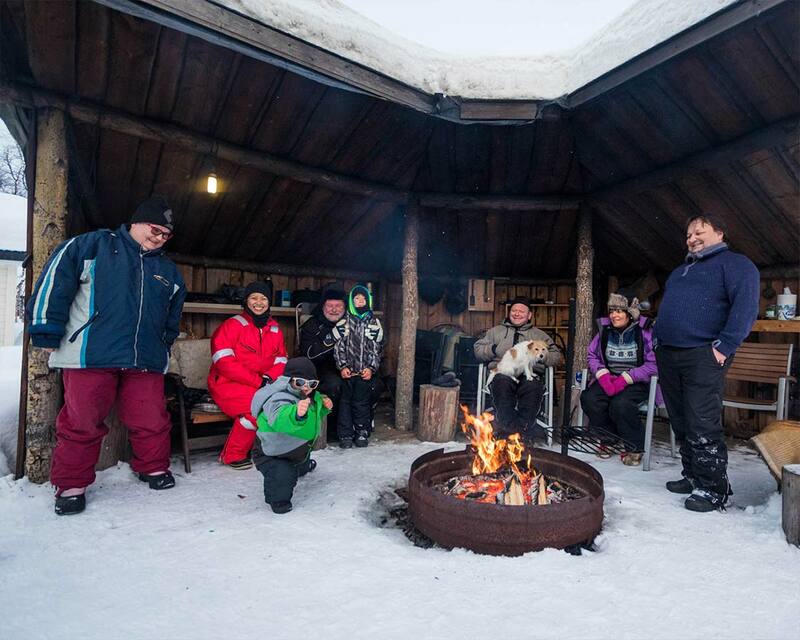 Our host Roar of Go2Kirkenes was wonderful and invited us to spend some time enjoying the fire with his family. We were treated to warm smiles and lots of laughs. This special experience reminded us of why we travel with kids in the first place. Because in the end, it’s always about the people you meet along the way. Our two families spent time laughing and swapping stories while the children chased their dogs Mia and Luna. There are more Kirkenes experiences than just these things to do. 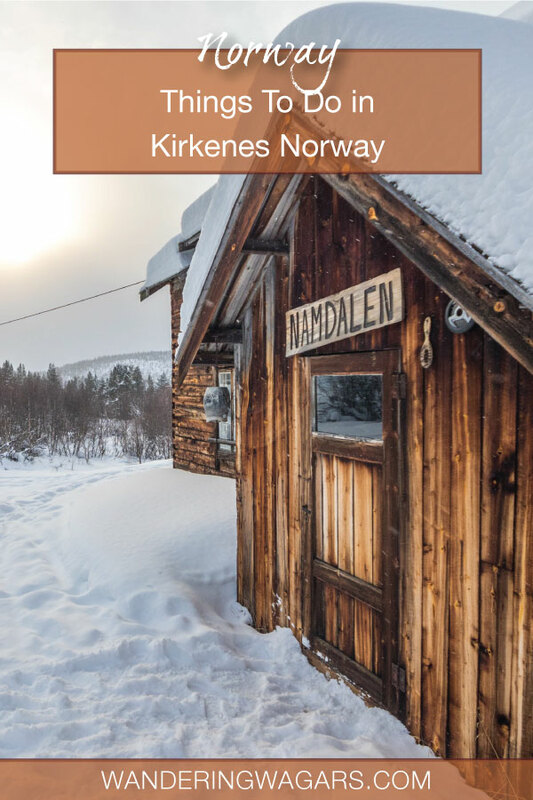 Spend some time walking through the town (or use a local kick-sled if you’re visiting Kirkenes in Winter) and explore the shops, restaurants, and sights of this northern town. You can also head out of town to check out the Pasvik Nature Reserve towards the town of Nyrud. We had an incredible time visiting Kirkenes with kids. The locals were incredibly friendly and welcoming to children, and all of the activities were hands-on, active, and fun for all ages. 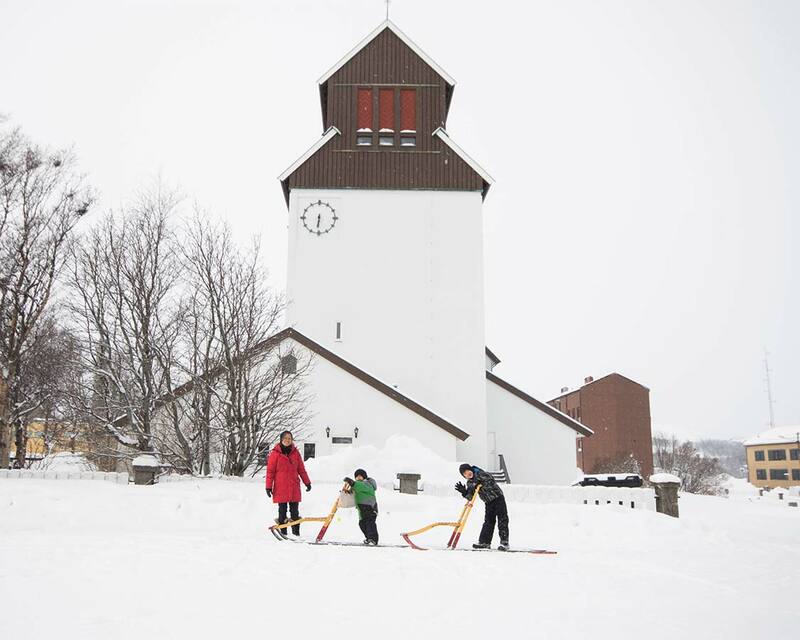 The weather in Kirkenes can be cold, especially during the winter, so it’s important to ensure that you have proper winter gear when planning for your family travel to Kirkenes Norway. 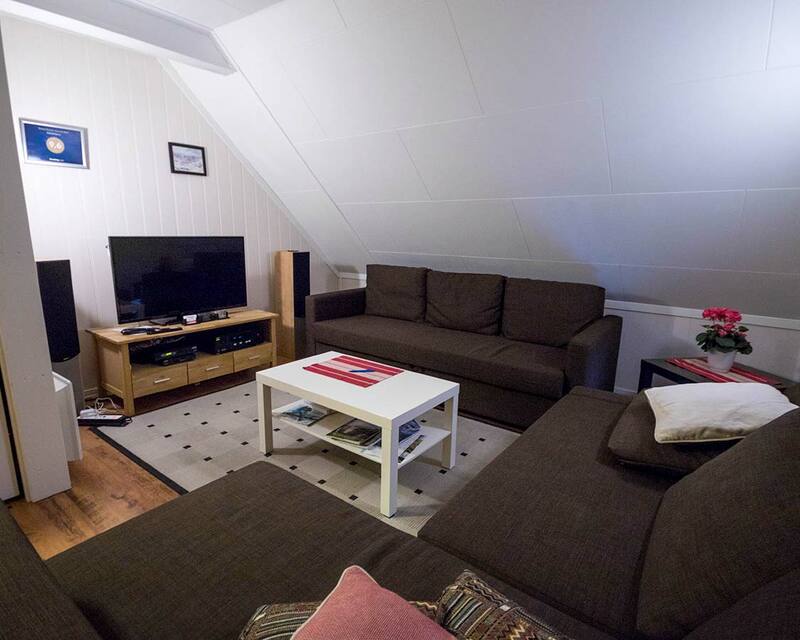 Although it’s a small town, there are lots of options for Kirkenes accommodations. And the benefits of the town size is that no matter where you stay, you’ll never be too far from the action. Here are some of our recommendations for hotels in Kirkenes Norway. The Thon Hotel is one of the most popular hotels in Kirkenes. It’s conveniently located right on the water just a short walk from downtown. The Thon hotel offers bright, modern rooms and includes a complimentary hot breakfast. You can check the price and availability of the Thon Hotel in Kirkenes on Booking.com here or on Hotels Combined here. The Scandic Hotel is a budget option when compared to the Thon Hotel, but its location right near the city square makes it a great option for those who want to be within a short walking distance of everything (without having to climb the big hill up from the fjord!). You can check the price and availability of the Scandic Hotel in Kirkenes on Booking.com here or on Hotels Combined here. We opted to stay at a local apartment rental called Go2Kirkenes. We LOVED it. Our host, Roar Anderson was also our guide for many of our experiences in Kirkenes. The roomy second-floor apartment is cozy, warm, and includes a well-stocked refrigerator for preparing meals, a kitchen, and a living room. We highly recommend considering Go2Kirkenes if you are looking to stay in the city, especially for those traveling with children. You can check the price and availability of Go2Kirkenes on Booking.com here or on Hotels Combined here. We absolutely loved our time in Kirkenes, Norway, and we highly recommend those visiting the town on a Hurtigruten excursion take the time to explore and learn about this small, but exciting, town in northern Norway! We hope you got great ideas out of our experiences. If you’ve been to Kirkenes, let us know about it in the comments below. Tell us about your favorite experiences or your best tips and tricks! You can also head to our Facebook page and share a photo of your trip with us. We would love to share in your journey! I had no idea how bad Kirkenes suffered during the war and how many things you can visit here that share that history. On a lighter side the ice hotel and dogsledding look like so much fun. What an interesting place to visit! I haven’t been to Norway yet, but it looks gorgeous. Always enjoy learning something new — and today is no exception. I hadn’t thought of Norway as being that involved in WWII, but I guess I just don’t know my history. Of course, being on the border of Russia would put it in the center of the action. Surprising that a town as small as Kirkenes would have so much to do, but it looks like the very best part is hanging out with the locals! Wow! So much snow. Your post reminded me that winter still exists somewhere in the world 🙂 Haven’t experienced anything wintery for 11 years, since I moved to India. What a cool adventure. I love the coziness of the settler cabin…I’d want more channels too. Haha. I find it fascinating that a remote town near the Arctic circle was a literal battleground during World War II. Other than that, Kirkenes looks like a nice and quaint town to visit! So at least half of those things make it worth the visit. The crab and Russian border look interesting. Cool looking museum too! I think you’d have a blast, Brian. And the music scene in Norway rocks! Thanks Chris! It’s always great to delve deeper into the regions we travel to.